Today is a good day for Jamaipanese.com. 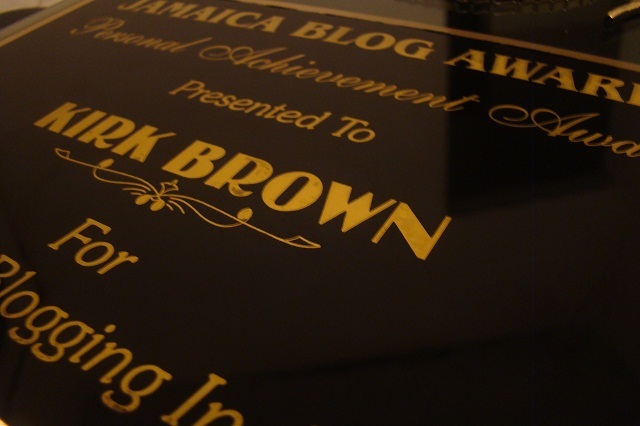 At the 2012 staging of the Jamaica Blog Awards at South Beach Cafe in Kingston I won a personal achievement award for excellence in blogging. As a longtime blogger being recognized for my work over the years on Jamaipanese.com is a very big deal. Through blogging so many doors have been opened for me, I have met so many people I wouldn’t have met otherwise and life as a whole has been so much more interesting. In today’s information age blogging can be a powerful platform to share you voice and opinion and in my case a vehicle that allows you to go to places and see things I never thought possible. In the early days I honestly did not think that just sharing my love for the Japan and my personal interests such as photography, technology, movies etc would allow me to be in a place where I was being commended for being a pioneer of blogging in Jamaica. If you are a longtime reader and supporter, I thank you. If you are a new or recent visitor I welcome you to my little corner of the internet where I share the thoughts on Life in Jamaica, my love for Japan and my most geektastic interest. Thank you. Blogging has really become popular locally in the 3 or so years, but I do not believe many local bloggers understand how powerful and influential blogging can be if taken seriously. I’d also like to throw out a challenge to local bloggers. I’d like to challenge all of you to to do more as a community, work together on projects and support each other. It doesn’t matter which niche you belong we are all Jamaican Bloggers, so if you are a fashion blogger why not reach out to a photo blogger and team up to cover Caribbean Fashion Week or Jamaica Carnival? If your blog is focused on the environment why not team up with one or more journalism blogs to shine some light on an environmental issue? Are you a movie/entertainment blogger? Why not have pool of local bloggers share their top 5 movies of 2012? 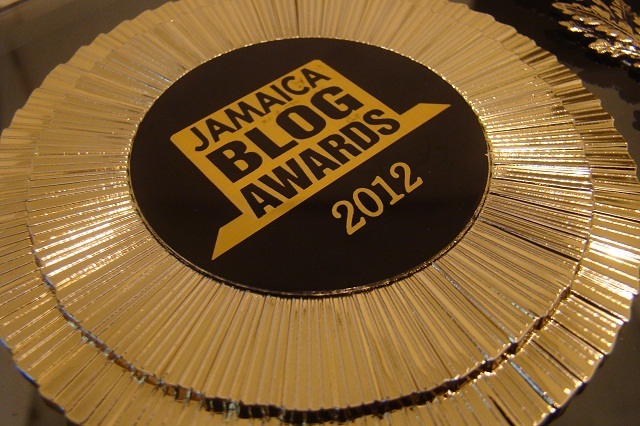 Let 2013 be the year that the Jamaican blogging community comes together to make big things happen locally and globally. Good work mi boss. Congrats.. Well deserved …. I will definitely continue to read your blog! thank you for stopping by! Awesome lets all team up for a healthy community. Well deserved and well said. Happy our paths have crossed and looking forward to an awesome 2013 and beyond! you are one of the awesome persons I met thanks to my blog! congrats Kirk. This is a fantastic achievement. Keep up the great work. thank you my Ozzy friend! I remember this, this is still truly awesome and you know that I am always proud of you and also know that you will always have my support. Always excellent, you are destined for greatness Kirk, always remember that.